TierraCast is a Californian based jewelry supply company that's well known for innovative designs and quality materials. They also produce products in a variety of metals to suit every taste. They are introducing new products which they call The Maker's Collection. One lucky winner of this giveaway will get to use $75 worth soon! The collection includes beautiful toggle clasps. The hammered designs are particularly eyecatching. The collection also features much sought after cord ends. All in various sizes and metals. 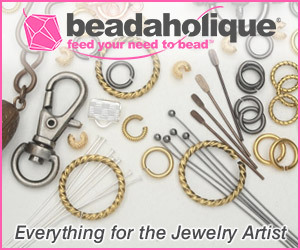 Kumihimo, leather and wire jewelry makers rejoice! One really cool feature about the pagoda style cord ends is the channel around the barrel which can take all sorts of decorations like resin clay! Watch this video and learn more about the Maker's Collection. If you would like to win $75 worth of jewelry making supplies from TierraCast's new Maker's Collection, please make a comment below. Make sure you leave contact info if you do not have an online shop or blog. It ends in a week's time at 6 pm EST Monday, October 27 , 2014 . I will pick the winner randomly and announce the results as soon as possible after. So be sure to leave a contact email if you don't have an online link or make sure you come back and check! Otherwise I will redraw in a week. Good luck! Pearl, you really have the most fantastic giveaways! I love the looks of this new collection, and would be ever so thrilled to win! and a facebook fan as well. Lookit those. I have a rapidly dwindling selection of old Tierracast bead caps and spacer beads that I cannot find anymore, bought them years ago online from a destashing jewellery-maker. Very high quality products and I'm sure these would be ditto. I'll be forwarding this email to several buddies who do kumihomo. TierraCast makes the most elegant findings for the media that I use in jewelry. Thank you both for this giveaway! I love the look of these findings.I bet they feel good too. I am new to the art of jewellery making and want to make a special piece for my sister for Christmas.Then, I will go on to expand my makings in the hope of selling them at the Easter Fair here in the Charente. I think that the fashion concious and stylish French ladies will love these in their collections. 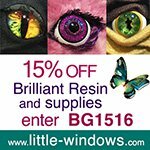 I love the look of their stuff & I appreciate the way you bring this kind of stuff to my attention! 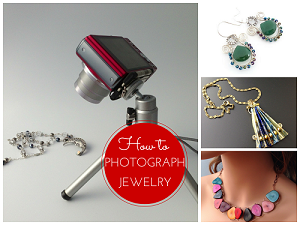 TierraCast makes the most elegant findings for the media I use in jewelry. Thank you both for this giveaway! Love these findings, so easy to use. Thank you for the opportunity to win and for all you do for your fellow artisans. I would love to try these products. I have not seen them locally. Love the look of their new products, especially the cord ends. I love their findings. Beautiful designs. I'm a blog subscriber and a Facebook follower. OH, these are lovely and just what I need as I am trying to make some jewelry to open back up my Etsy shop and I am out of work so having a difficult time finding supplies. I would love to have these - I love that they have copper as I am really falling in love with that metal color. Oh, no! I forgot to add my email to the previous two comments - janschop@aol.com - hope it's okay to add this on - you can delete! The different sizes of cord ends are exactly what I am looking for. Fingers crossed! This is a great way to try a new product. Thank you for the opportunity. I'm excited to create with TierraCast! Love Tierra Cast findings. I searched all of my suppliers for proper ends for knitted wire and found the Tierra Cast ends which were just perfect. As are their focals and snap caps. 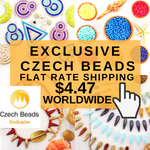 I ended up ordering them through Jet Beads, thanks to you! These cord ends are beautiful. I love that they are different from the usual. Thanks for the opportunity to win! The new findings look wonderful. Thank you for the giveaway! I subscribe to your blog and follow you on Facebook. Awesome giveaway! I would love to use these in my designs. I'd love a chance at these, please throw my name in the hat Pearl! Already a follower on all accounts :) Will tweet you here in a minute! These clasp are really cool, would look great on the leather I have. I so love TierraCast! Nice giveaway you have! I will try my luck ;) I'm a follower and shared the post through my Fb page. Thank you! Blog follower, twitter follower, Etsy follower, everything!!! And I would love to have the collection!! Thank you for this giveaway. I love the quality of TierraCast products. I am a blog subscriber to this great blog. Tierra Cast make such wonderful things. Those cord ends really finish off a bracelet so nicely! We are lucky that these manufacturers are always coming up with new ideas for us. What would we do without them? Throw my name in there again Pearl! I love the look of these new ends and toggles. I need those ends in my life! I'm a blog subscriber. I love browsing through jewellery findings as a way of dreaming up new designs (I often forget findings otherwise! ), so I'd love to win a selection of different bits and bobs! Oh, those cord ends would be really handy ! Thank you for this giveaway. Oh! oh! oh! Wonderful finding! I could really put these to use. These look great! I enjoy reading your blog. Have a wonderful day. I am a blog follower and email subscriber. I use Tierracast toggle clasps and would like to check out the new collection. thank you for this wonderful giveaway! These would be so fun for some new designs I m working on! Thanks! follow you on facebook and blog follow too! Did a shout out on my facebook page on this giveaway! Great giveaway thanks! I LOVE Tierra Cast's products! Thanks for the opportunity to win! I am a blog follower and Facebook fan, too! What a wonderful give away. I gave a "demo" on closures at our local Bead Affaire (Boston) on Saturday following a kumihimo demo. There were many questions of how to end thicker cords/cables. As I told the participants, these endings are a perfect way to make a cleanly finished piece. I am a subscriber and frequently pin from your posts. (pinterest /llinebaugh/) thank you so very much for your blog efforts. So much good information for such a long time. You are appreciated. I've had my eyes on those cord ends (the ones with channels, perfect for adding clay, wax, paper, fabric, leather strips etc), but not really gotten around to buying any yet. So this giveway would be perfect for me! Thank you to you and TierraCast for this great giveaway! I am a blog follower. What wonderful hammered pieces, and cord ends, love them! Love Tierra Cast would love to win this. Tierra Cast makes beautiful findings that I love to use when finishing my jewelry. What wonderful organic looking findings. These would be perfect additions to my work. I will cross my fingers on this givaway. Wow! I love Tierra Cast -- great designs & quality products. They are not available locally (in the south of France), so this would be a great opportunity for me to explore their new items. I'm a blog subscriber & follow you on Facebook. I am one of your blog followers. These hammered toggles and cord ends are wonderful! Tierra Cast findings are great. I use them almost exclusively. Nice to see the new line. Thanks, Pearl, for bringing these to my attention. Those cap ends look fabulous!! Ideas for finishing Viking knit, braided bracelets, multi-strand necklaces and others have popped into my head! nuts! forgot to add my email to previous. Added address to this post, sorry about that. I really, really like TIERRACAST'S products and therefore would know exactly what to do with THE MAKER'S COLLECTION JEWELRY FINDINGS GIVEAWAY-such good quality products. Thank you. Love Tierra Cast, love your blog. Read you every day! Throwing my name in the hat as well! I'd love to get some new charms and spacer beads. I am a long time subscriber of your blog. I play with copper wire so it's great to see the lovely copper pieces. Thanks for showcasing these. I'm a blog follower. Wow those are really nice. Would love to win them. These are gorgeous! I've been looking for something for the jewelry I've been making with guitar strings. What an elegant finishing look. Really want to work whith this. Thank to give us a chance to win. I'm a suscriber. This is a great giveaway. I can always use some great new supplies! Thanks! I also follow via email. Thank you. I'm new to TierraCast but so far I love what I've gotten. I would love to win the chance to try even more! I love TierraCast! They have such great components! Thanks for the chance to win! Love the new designs... covet them actually ! Thank you! I just love the different styles these findings have and they would make my jewelry designs all the more special! gorgeous components, thank you for the chance!!! I love the TierraCast findings, so I have my fingers crossed for this one. I follow your Blog via Feedly. These findings are wonderful! What fun they would be to use on my kumihimo prohects. I love TierraCast! What a great giveaway and thank you for hosting it. I shared the giveaway also on Pinterest. Great giveaway! I love the copper cord ends! Tierracast products are super high quality and I have been using them for years. How great that you are able to do a giveaway like this! I especially like the new styles of cord ends in this collection. Wow! What a great giveaway. I really like the cord ends, they would be perfect with bead crochet! Oh, Pearl, you have my mouth watering with all the scrumptious findings. Who do I have to pay-off or beg to win this one? Awesome giveaway. So hope I win. fan and subscriber of your amazing blog. O look at all the new and fab findings. I Love Findings and finding ways to make them shine in a piece. I can't wait to check out the end caps. Been looking for some to finish a necklace I started about a decade ago!!! You're Awesome! Thanks for the chance to win! These are gorgeous! Thanks for the great giveaway! I love the new Tierra Cast designs! I subscribe to your blog. It is always full of great goodies and eye catching jewelry designs. I love Tierracast products. Use their toggle clasp regularly, love they are made in the USA too. What's not to like?? Very lovely designs. I especially like the Renaissance toggles and the Pagoda cord ends. Hoping to be the lucky one. I am so happy to see new and more cord ends. 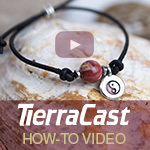 I love Terra Cast and want to subscribe to the blog, as soon as find the link to join in. I love making jewelry and on my budget it can be a challenge. Winning would be a great boon. Thanks for offering this prize. I love Tierra Cast! I was able to meet some of them at Bead and Button 2013 and they were the best. I also love your blog! One of the best for beaders. I love these cord ends and clasps from TierraCast. They look so perfect. Would love to win this giveaway. I also love your blog and am a subscriber and wait for it everyday. Would love to experiment with the cord end requiring wire wrapping! TierraCast are one of my favorite findings as they are well made and the detailing of them is superb, plus I've always loved the fact that they are made in the USA instead of in China. This is one giveaway that I will keep my fingers crossed in hopes that I might win. I've been a follower of The Beading Gem's Journal for a number of years now. These new cord ends seem open to a lot of possibilities. I am a regular follower of your blog. Thanks for sharing this. I would love to win this. I love their findings. 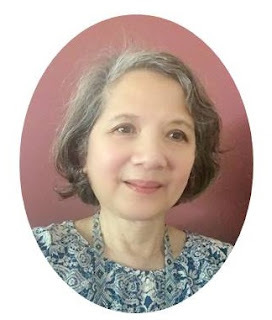 Pearl, many thanks for all of your informative posts - you rock!! Love the findings. Old world, exotic look. Been following your blog for years! Love it. Look forward to your email every day. It's the only one that I don't delete!! These are really wonderful items. I would love to add these findings to my collection. Loving these new product lines! Would love to win, of course! Thank you for the opportunity. Love these! I am a blog subscriber and follow your Facebook page. Love these findings and I love Tierracast stuff. SLIDING in before the FINISH! I'm NEW to YOU, but now following blog & FB! LOVE THESE! Living on a sailboat requires packing 'small'; beads are small :D Living in Mexico allows us to teach others, and share what we have, they are SO grateful, and my heart is full. MUCH beading in the "Cruising" life, and it's easy to share! GOOD LUCK TO ALL! SO glad I found you, NOW if I can just KEEP wi-fi! Normally my website tells all, but all of a sudden it's CHINESE!! :O Come back later!! 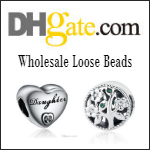 I have noticed that many jewelry makers use this brand and will certainly be happy to win some fabulous findings! I'm a blog follower. I love Tierra Cast findings. They are consistently well made and very attractive! I would love to have more of them. Thanks, once again, for posting these wonderful giveaway opportunities! PS - I am a blog follower and am on your mailing list! LOVE this blog. It is the first thing I read each day! Too many great ideas of what to do with these marvelous findings!